When you enter the colourful world of Early Years at BCS Prep, the happy atmosphere immediately draws you in. 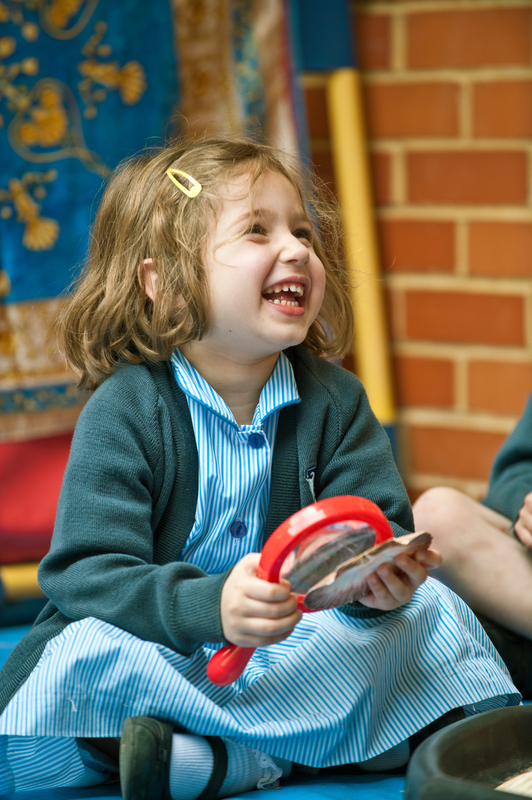 It is the sparkle in the eyes of our youngest pupils, their sense of excitement, exploration and discovery and the confidence in which they approach each new day that confirms we are nurturing an enthusiasm in them that will, in time, become a lifelong joy for learning. For the youngest members of our school community, each day is a new adventure and our first task is to ensure that their learning journey begins in a safe and secure environment. With large and attractive classrooms and excellent facilities, the children can explore, discover and learn, as together they celebrate the joy of childhood. With an excellent staff:pupil ratio, the children receive a high level of personalised, individual care and attention. The curriculum is full of exciting activities to stimulate and fill the children with the desire to learn. We follow the Early Years Foundation Stage Curriculum, where there are seven areas of Learning and Development covered. All of these are equally important, and are not achieved in isolation from the others, but are delivered through planned purposeful play with a balance of adult-led and child-initiated activities. Nursery and Kindergarten practitioners take topics and themes based on the children’s interests at the time, to provide a wide range of learning opportunities. The daily routines ensure that the children become familiar in their environment and confident to explore and discover new experiences. The skills of independence and self-motivation are encouraged and celebrated. Each child’s progress and development is carefully monitored and recorded in an online ‘Learning Journey’ that parents can access and contribute to. This important stage of learning and development prepares the children to take the exciting step into school. The Reception year is the final year of the Early Years Foundation Stage and the first year of statutory schooling. Large, bright and well resourced classrooms and outdoor learning areas provide wonderful spaces in which to learn and grow. The Early Years Foundation Stage Curriculum continues and there is a balance of learning through play and through adult led tasks. Reception teachers continue to follow the children’s interests when planning activities. Learning takes place in both structured and unstructured learning situations, both inside and outside of the classroom. The child’s online ‘Learning Journey’ continues and at the end of the year the teachers complete an EYFS Profile of each child which records their achievement against a set of nationally set Early Learning Goals. Children in Reception begin to participate more fully in the life of the school by attending assemblies and special celebrations. They benefit from specialist teachers in music, French, PE and swimming.